EA Sports have released further details regarding FIFA 12, featuring elements designed exclusively for the Wii version. You’ll occupy your own personalised ‘FIFA City’ that will grow as you continue to complete and earn rewards across every game mode, granting you buildings, better players and passionate fans as you grow your city to become one of the most desirable places to play. Coinciding with this, you can participate in the ‘Intercity Cup’ as you go up against neighbouring cities in exclusive streets and stadium tournaments. The ‘Awards’ system, across all modes, will reward you with better players, power-ups and new kits as you continue to create the biggest city with the best club. ‘Be A Pro’ mode returns, allowing you to place yourself in the game with the ‘Create Player’ feature. You’ll journey will begin playing on the streets and will culminate with you playing in the stadium of your dreams. Along the way you’ll unlock items such as trick packs, celebrations or hairstyles as you earn fame and awards for your FIFA City. An all-new ‘Manager Mode’ will allow you to take your favourite club to the top of the league tables… and aim to keep them there! You’ll be able to utilise a training system, as well as the transfer market, to test your resolve as a manager as you are challenged to manage your budget whilst buying and selling players and upgrading facilities. 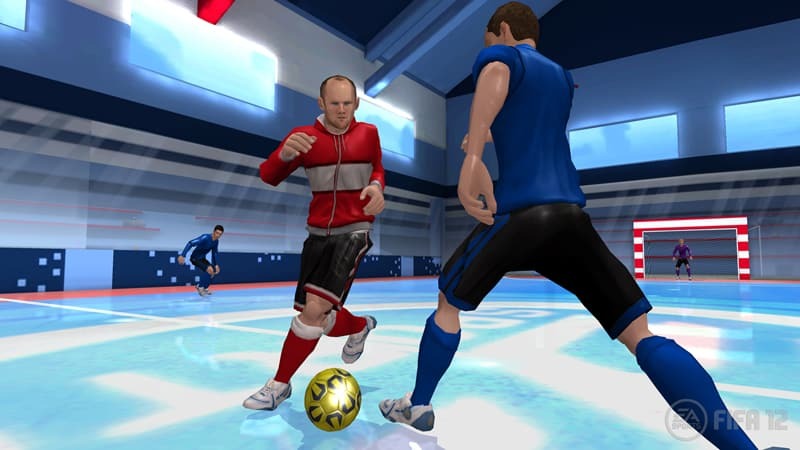 At its core, FIFA 12 divides itself into two gameplay styles; 5 versus 5 street matches in famous cities and indoor environments, or traditional 11 versus 11 football matches where you’ll be able to choose from over 500 licenses teams from over 30 leagues with authentic kits and stadiums. You are now also able to customise formations, tactics and more so that CPU players act exactly how you think your real team would play. FIFA 12 is due to release for Wii across North America on September 27th and Europe on September 30th.